04.06.2008 The "Tampere Mini Tour" kicked off last week at Klubi. We had a great time playing that night and having fun with the support act UAL, who cover Accept. That band really rocks, check them out live if possible! About the Mini Tour... We're altering the set list every night for all of the three shows, so you won't see the exact same show at every venue. The next gig is tomorrow at Henrys's Pub which is kind of a head start to Sauna Open Air Festival starting on Friday. The third Tampere gig will be at Hellä on Friday. That's gonna be an unofficial Sauna Open Air after party. So, after Testament and Children of Bodom end their sets on the festival stage, head on to Hell for some more headbanging! 27.05.2008 Added new gigs. Tampere minitour is starting. Check it out. 26.09.2007: Added three upcoming gigs. Check out the dates and venues. 12.05.2007 It’s been ages since the last update… I’m trying to get this updating thing more active from now on, though. Those latest gigs we did in Helsinki and Tampere were really great, thanks for the support! We did tape and video tape the latest gig, Inferno Bar Tampere, and are currently working on getting some songs out to be released on the website. A new gig has been added to the list. We’re doing a show in Henry’s Pub Tampere in June. It’s an unofficial after party for this year’s Sauna Open Air metal festival. So, when Megadeth is thru on the festival stage, head to Henry’s and support Alcoholica! The crowd made one of the best Alcoholica gigs two years ago, so we’re really looking forward to do Henry’s Pub again during the festival. Thanks for everyone who showed up on the past gigs during the summer! Tampere, Oulu and Joensuu really rocked! We've updated the GIGS department for new upcoming shows. Check it out! To see what Johannes and Teemu have been doing with their main projects, check out Sonicmind and Steep websites. In August Esa took a two weeks break from his main job as the FOH-engineer with Uniklubi to do 8 gigs in Finland with the ex-Rainbow, Alcatrazz and Michael Schenker Group singer Graham Bonnet. Right now Uniklubi is taking a break from touring to write and record their next album. The third Uniklubi album is to be released sometime in 2007. Teemu and Steep for starters. The band's first album "Silence Is Not Golden" was released by Dies Irae Records in January. Keep in touch with Steep by visiting their website. And a BIG CONGRATULATIONS to Teemu! The guy became a father on April 9th! Johannes' main band Sonicmind has released their first CD single called "Face Off". The release party took place at metal club Hellä in Tampere on March 22nd. The band has also signed a new drummer. Check out the latest news on Sonicmind here. Esa has been touring with Uniklubi intensively. The band stays on the road for 11 gigs during the next three weeks until a four-week break on May. The tour continues on June 2nd from Siilinjärvi and goes on 'til August 26th when the tour ends in Kokkola. Jaan is doing the @Penthouse cabaret starting on 11th November at Ilves Bar&Night. Find more information on the show here. Teemu's main project Steep has signed a contract with a Finnish record label Dies Irae. The rumour has it that the forthcoming album is already recorded and should be out early 2006... Stay tuned! Also Johannes' main band Sonicmind is working on new material. All the tracks have been recorded and the EP is being mixed at Deerhouse Studio by Jari Latomaa. Esa is busy touring with Uniklubi as usual. The band's next release "Kehä" hits the stores on 2nd November. The tour has already started and the next gig takes place at Tavastia Club in Helsinki on 9th November. See the tour dates here. 03.10.2005: NEW!! 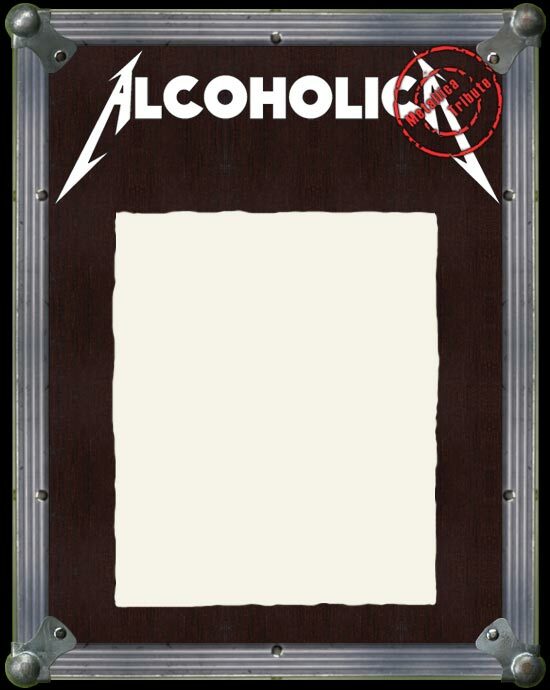 Alcoholica posters added to the Photos section. 02.10.2005: Johannes on the road with Essentia. See the dates here.